Luang Prabang in northern Laos is one of the best preserved towns in Southeast Asia, rich in architectural and artistic heritage, but having a UNESCO World Heritage Site status means the tourists will be stomping through. So there's no shortage of places to stay, but oh which one to choose? Note that accommodation tends to cost more here than other places in Laos. The high season is October to March, with a brief peak period in mid-April for Pi Mai and Christmas. This one is my personal favourite; it's blissfully peaceful and yet is not far from town. The romantic all-suite hotel is formerly the French governor's residence, so it carries some heritage and historical significance. But the best part is the luxurious suite and outdoor gazebo with oversized stone bath. Dining is also very pleasant here, with a safari tent restaurant (and the only steakhouse in Luang Prabang) "The Governor's Grill" with outstanding presentation and food quality. Pool, spa and gym? Check, check, and check. See more in my full review of the Sofitel Luang Prabang (with over 40 photos) here. 3 Nagas is a UNESCO protected property with three historical houses over 100 years old blending French architecture and Lao design. The 15 rooms are elegant and tastefully appointed. What's cool is that the vintage crimson 1952 Citroen or cream-coloured 1956 Mercedes Benz parked outside are at your service for airport transfers or tours. 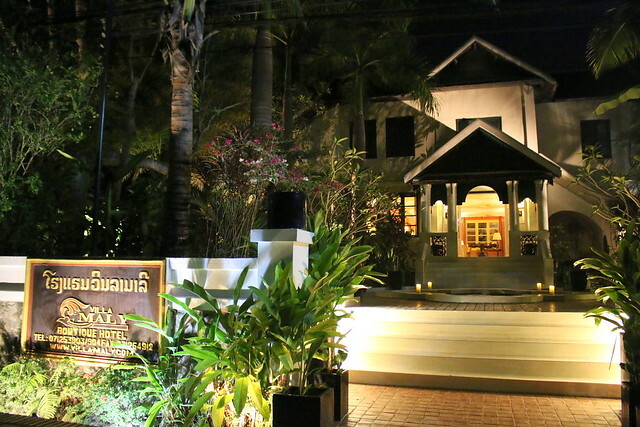 The 3 Nagas restaurant serves award-winning Lao cuisine, and the royal family's ice cream parlour is housed here too. The location is right in town too. See my full review on 3 Nagas here. I found Indigo House Hotel (not to be confused with the Hotel Indigo chain) when I was walking through the night market. 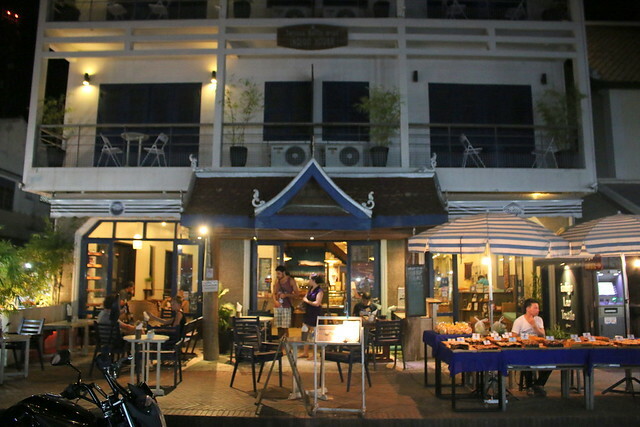 The hotel is so conveniently located on Sisavong Road (main street) in the heart of town. Right opposite is the Hmong textile market (you'll see the traditional indigo dyes that inspired the name for the hotel), and the Royal Palace Museum is just 300m away. The central location is great as it puts you in close proximity to the markets and attractions. 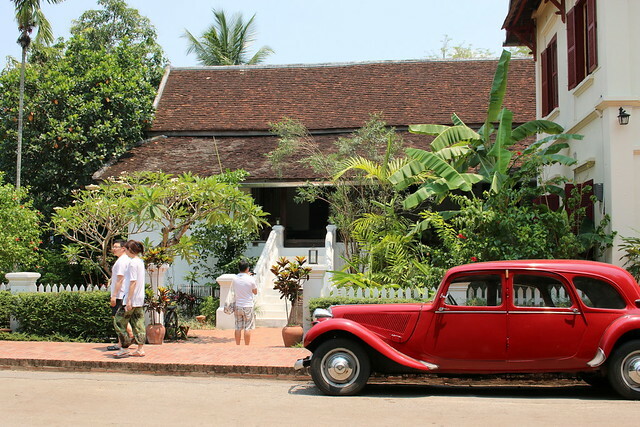 This was one of Luang Prabang's earliest hotels, built in the 1970s but completely refurbished with modern facilities. There's free Wi-Fi, a restaurant and a 24-hour front desk. With only 12 rooms, I am sure they are often fully booked. Address: Sisavangvong Road, Ban Pakham, Luang Prabang. Villa Maly looks almost palatial from the outside, and it's no wonder. This four-star hotel was a royal residence until 2001 when it was made into a luxury boutique hotel. There are 33 rooms are decorated with French and British colonial furnishing with wooden parquet floors, armoires, and classic fans. All the amenities are there - dining, spa, pool, wifi - plus a garden filled with tropical flowers and trees. It's in a quiet side street, so you will have peace and privacy. Villa Maly also enjoys a good reputation for its service, so I guess it's no joke that you'll be treated like royalty here. If you're on a budget, there are lots of backpacker places but some are more run down than others. What's most important is a clean and comfortable room. 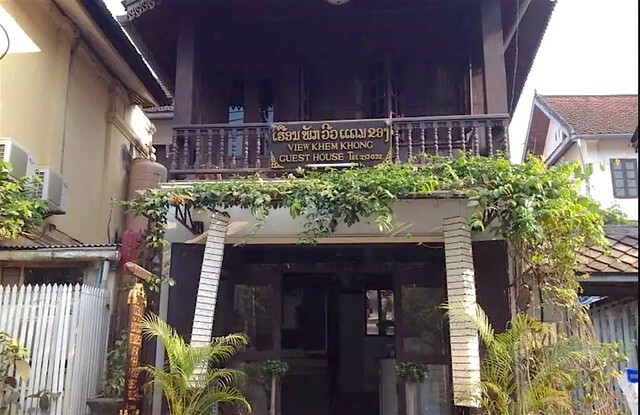 View Khem Khong is a small guesthouse with lots of charm in the historic quarter overlooking the Mekong River. The rooms are not huge but linens are clean, and the staff and French owner incredibly attentive. There's air-conditioning and wifi as well as a restaurant which gets good feedback. 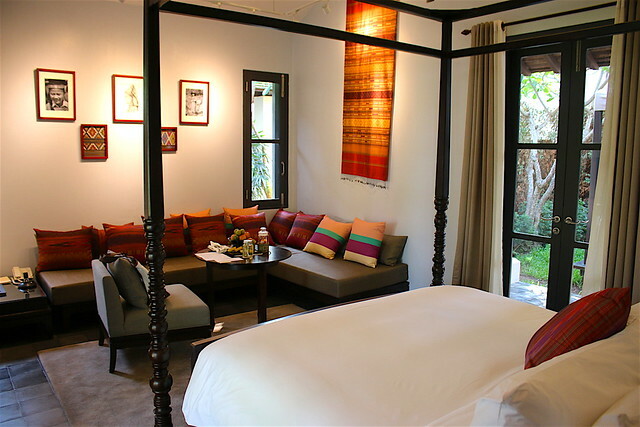 And with rates from US$7-8, you'll want to stay in Luang Prabang for as long as you can! You can check out HotelsCombined to compare the best hotel deals for your next trip to Laos.